Getting Back To The Basics: Rally Graduation! 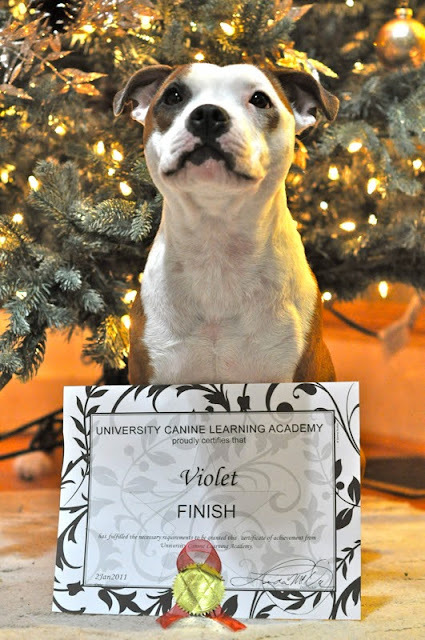 So Miss Violet graduated Rally class today! And she didn't eat a single dog! Overall I'm quite pleased with her progress with this class and we'll definitely be looking for the next session to sign up for it. I'm gonna start working Sadie with this stuff too. Side note - we used a new treat today for obedience. Violet has been tooting loudly all night.